Bugatti cars price starts at Rs. 19.21 crore for the cheapest car Chiron and goes up to Rs. 41.00 crore for the top model Bugatti Divo. Bugatti offers 2 new car models in India. Divo (Rs. 41.00 crore), Chiron (Rs. 19.21 crore) and are among the popular cars from Bugatti. 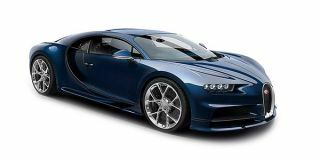 Select a Bugatti car to know	the latest offers in your city, prices, variants, specifications, pictures, mileage and reviews. Q. How's the transmission and power? Q. What is the service cost? Q. Is Bugatti Chiron launched in India? It is available in India and comes in the price range of Rs. 19.21 - 21.22 crore (ex-showroom Price, Delhi). For availability, we would suggest you to get in touch with the nearest dealership. 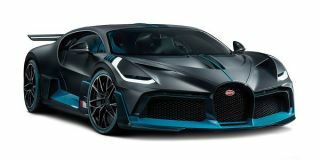 Q. BUGATTI DIVO LAUNCHED IN INDIA? The original Type 57SC Atlantic is automotive gold. Now, Bugatti’s building a modern one!